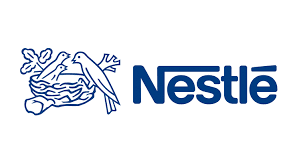 Nestle Nigeria has reiterated its pledged to support young people by boosting youth entrepreneurship and inspiring the talented ones through providing training and job opportunities. The pledge was contained in a statement signed by Victoria Uwadoka, company’s Corporate Communications and Public Affairs Manager, in Lagos, which was released affirm the organisation’s ideals as it celebrated this year’s International Youth Day. Uwadoka said that the move was to ensure they gained the skills that would enable them to contribute positively toward building peace in the society. The youth empowerment initiatives include a training programme to develop and train young technicians for the world of work at its Technical Training Centre in the company’s Agbara Factory Complex in Ogun. According to the statement, some young entrepreneurs who were panelists at the event organised by Nestle Nigeria for young people to celebrate the 2017 International Youth Day, underscored the importance of hard work and focus on what one desired to achieve. They shared their success stories and how they have contributed to the development of society. The Panellists are Tosin Oshinowo, the Chief Executive Officer (CEO) of CDAtellier, (the Architect who designed Maryland Mall – a popular Mall in Lagos) and Chiamaka Obuekwe, CEO of Social Prefect Tours (one of Africa’s Top 100 Women in Tourism). Others are Oluwaseun Shogbamu, CEO of Nation Career Fair and Elijah Eniola, Digital Marketing Executive and Social Entrpreneur. In response, the Managing Director and CEO of Nestle Nigeria, Mr. Mauricio Alarcon, advised youths to leverage the myriad opportunities available to them today. Alarcon said that today’s youths were better equipped to make positive impact in the fast-paced world, urging them to maximize the use of technology and get creative to harness the vast potential in themselves to create value for society. In his statement, the Agbara Factory Manager, Mr. Walid Hbaika stressed the need for the youth to take everything they were learning with utmost seriousness. Also, Nestlé Nigeria’s Head of Human Resources Mr. Adesola Akinyosoye, urged the youth to embrace the key elements of learning agility to enable them to succeed in today’s highly competitive environment. “The present-day world is not driven by mere activity, but by results. Every activity that one engages in must therefore be productive,” he said. In many African societies, children are the most important thing in life, so not to be able to have that can be devastating. To this effect, childless couples are susceptible to depression, suicidal thoughts, among other problems because of difficulties in conceiving. To make matters worse, fertility problems are something that the affected people don’t always want to talk about. And so the sense of isolation can be overwhelming. Thanks to Dr. Abayomi Ajayi, CEO Nordica Fertility Centre with clinics in Lagos, Asaba and Asokoro Abuja, who many Nigerians that have benefitted from his services said have demystified fertility problems in Nigeria. It is not surprising that he was nominated by the Centre for Policy Development & Political Studies for the ‘Lagos State Man of the Year 2017 Award,’ along with nine other very formidable great achievers. Dr Ajayi has been a medical doctor for over 33 years, 28 of which has been devoted to reproductive health and the last 15 years to helping families challenged with infertility to achieve their dream through assisted conception. In line with the requirements of the Centre for Policy Development & Political Studies, the Fertility Expert who is also a Gynaecologist has been in the forefront of research in male infertility and use of Genetics in IVF, so it is not surprising that he emerged as one of the nominees. Worthy of mention is the Nordica’s participation as technical partners in the FTSF/Alibaba January 1, Concert which recently organised free fertility treatments for indigent Nigerians to name a few. In a telephone interview with our Reporter, Amos Evborokhai , Fertility Awareness Advocate Initiative (FAAI ) President said: “I don’t know the criteria, if those that are pitching the criteria included excellence in medical field, the Dr. Abayomi Ajayi is qualified for the award. Also, Frances Onwudinjo, Nordica first baby mum urged Lagos residents to vote for Dr. Ajayi. In a telephone interview, Onwudinjo said; “Dr Ajayi deserves the Lagos State Man of the Year 2017 Award because of his positive impact on couples. He has allowed God to use him to put smiles in the faces of many couples and their families. Responding, Dr Ajayi said; “I am deeply humbled by this nomination and consider it a great honour to be among such great achievers and notable captains of industry, renowned for their excellence, innovation and advocacy in their chosen field of endeavour. He also solicited for support from every Nigerian to enable him to become successful. “This award event has a nationwide appeal and winning it will inspire and galvanise my effort to touch more lives with the message of hope in fertility. Malaria is highly endemic in Nigeria and poses a major challenge to human development. Pregnant women, especially ‘primigravidas’ that is a woman who is pregnant for the first time are particularly at risk. The disease may not only account for up to 15 per cent of anemia in pregnancy, it causes miscarriages, premature births and low birthweights in newborn babies. In view of this, researchers and stakeholders have restated the need for early commencement of antenatal care by pregnant women. According to them, this aids early diagnosis and prompt treatment of malaria in pregnant women as well as uptake of Intermittent Preventive Treatment in Pregnancy (IPTp). Making the recommendations during a recent media chat on “Malaria In Pregnancy,” they stressed that regular and appropriate use of Long Lasting Insecticidal Nets (LLINs) help to prevent malaria in pregnant women. The event was jointly organised by the National Media Elimination Programme (NMEP) and the Health Writers Association of Nigeria (HEWAN) at the National Institute of Medical Research (NIMR) in Lagos. The health experts drawn from World Health Organisation (WHO), NMEP and NIMR gave detailed presentations on management and effective control of malaria during pregnancy. Speaking at the media parley, Dr Tolu Arowolo of the WHO emphasised the importance of early Antenatal Care (ANC), and insisted that booking and administering of IPTp are critical in preventing malaria during pregnancy. “IPTp is based on the assumption that every pregnant woman living in an area of high malaria transmission has malaria in her blood stream or placenta, whether or not she has symptoms of malaria. “A pregnant woman is supposed to receive a minimum of three doses of SP before delivery. “They should also sleep under LLINs because it is also an intervention against malaria,” she said. Arowolo said that good nutrition was also critical during pregnancy as it helped to nourish the mother and foetus, as well as boost the immune system. Also, Itohowo Uko, the Head of Advocacy, Communication and Social Mobilisation in NMEP, also enjoined women to report for ANC immediately they realised they are pregnant. Uko also said that following uptake of IPTp, 37 per cent of pregnant women took two doses of Sulphadoxine Pyrimethamine (SP) according to 2015 Nigeria Malaria Indicator Survey (NMIS). Sulphadoxine Pyrimethamine is a recommended medicine for malaria prevention for pregnant women in Nigeria. This should be taken at least once during an ANC visit. Noting that the uptake of SP is significantly low based on NMIS 2015, she charged women to exercise their right of demanding for at least for three doses of SP during pregnancy based on recommendation. She further clarified that each dose should be taken one month apart. Dr. Bartholomew Odio, a gynaecologist, urged people, especially pregnant women to always request for testing before the treatment of malaria fever. Odio, who is the Malaria Technical Advisor with Jhpiego Nigeria, an affiliate organisation to John Hopkins University, U.S, advised them to always demand to know the drugs that were given to them. Participants at the training were worried that despite the effectiveness of LLINs in preventing malaria and widespread accessibility to it, there are many cases of low and incorrect usage of LLINs in Nigeria, thereby reducing its ability to protect pregnant women against malaria. They advised all pregnant women to sleep inside LLIN every night. Earlier, the Dr Audu Mohammed, National Coordinator of NMEP, urged the media to collaborate with it on malaria control, care and prevention in Nigeria. According to the organisation, collaboration with HEWAN would help to achieve the programme’s strategic plan of ensuring total elimination of malaria in Nigeria by 2020. “This is especially when considered against the backdrop of the negative effects of malaria attacks on our social and economic development as a result of absenteeism from schools, offices and farms. “Over 90 per cent of Nigerians are at risk of malaria while children under-five and pregnant women are seen to be more vulnerable to this disease, hence the focus of this discussion,” he stressed. Mr. Timothy Obot, representing the Head, Monitoring and Evaluation in NMEP, urged the media to take the lead in providing investigated and researched evidence of the efficacy of recommended malaria prevention strategies. Responding, Mrs. Chioma Obinna, President, HEWAN, commended the NMEP for its strategic policies and activities toward the elimination of malaria in the country. “It is important that NMEP is collaborating with the media in the fight to eliminate malaria because the media had the power to reach out to the masses,” she said. Also, Mr. Sola Ogundipe, a seasoned health journalist applauded NMEP for the initiative. He said that eliminating malaria in Nigeria, especially in pregnancy was achievable through commitment and collaboration with all stakeholders, as well as Nigerians themselves. “Deaths from malaria as well as deaths as a result of Malaria in Pregnancy can be reduced to the barest minimum and HEWAN will join in this cause,’’ Ogundipe said. The Federal Government has commissioned an ultra-modern medical warehouse in Abuja for storage of drugs and other medical commodities that it procured or those donated by partners before final distribution to the end users. Commissioning the facility on Monday, Prof. Isaac Adewole, the Minister of Health, said that the facility, named ‘Premier Medical Warehouse’ was a product of joint effort between the Federal Government and partners. “I want to declare publically that within this country, I am yet to see facility like this, so I truly agree that this is the work of our partnership”. Adewole explained that there are three things that constitute good health system, Human Resources, Drugs/ Commodities available in the facility and Data emanating from the facility. The three things are complementing one another and it is only when the three are put to gather that a strong health system would have been built. “A facility that have human resources and there are no commodities, people will go there only once, they are not likely to come back, if there is no data you cannot really fine tune what is going on, you cannot determine progress and so to me what we are doing is actually to put in place a strong system that will deliver commodity in good qualities or in good shape to our people”. The Minister thanked the US Government and Globalfund for supporting the project. He assured that the Ministry will work with private stakeholders in the management of the facility. He said that the facility in Abuja will take care of the northern part of the country while the other one in Lagos would services the entire southern part of the Nigeria. Adewole said “for us in the Ministry we would ensure that we put all that is necessary to ensure that this facility is put to use, we would advertise it, we would let people know and we would provide oversight for the management”. The Minister said that facility would also provide opportunity for building capacity so that overtime, the Ministry would be able to replicate it in other part of the country. In his remark the US Mission Director in Nigeria, Mr. Stephen Haykins said that the Premier Warehouse in Abuja and Lagos would overcome the challenges of warehousing and distribution of drugs in Nigeria. One of the world’s leading medical faculties and university clinics, Hamburg-based Universitätskrankenhaus Eppendorf (UKE) has concluded plans to be the major partner in executing the proposed Thompson & Grace Medical University and Hospitals in Nigeria. 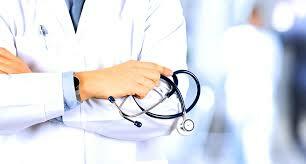 To this effect, Thompson & Grace Group, proprietors of Thompson & Grace Medical City (TGMC) and Thompson & Grace Medical University (TGMU), Nigeria will hold a one-week meeting with a team of high ranking medical experts from Germany. The purpose of the visit is to get a perspective on how Education, Health, and Medicine can be transformed to benefit Nigeria and Africa. The highpoint of the meeting is the signing ceremony of a Memorandum of Understanding (MoU) between Thompson & Grace Investments Limited (T&GIL) and the University Clinic of Hamburg (UKE), Germany on tomorrow, in Uyo, Akwa Ibom State. The agreement shall set the frame for a close collaboration between the two signing entities in the planning, building and managing of both the Thompson & Grace Medical University and the Thompson & Grace Hospital. The delegation coming from Germany consists of Prof. Uwe Koch-Gromus, Dean of the Medical Faculty of the University of Hamburg; Prof. Ansgar Lohse, Vice-Dean and Director of the University Clinic of Hamburg (UKE); and Prof. Frank Riedel, one of Europe’s most acknowledged pediatricians and for more than two decades, Medical Director of Hamburg’s University Clinic’s Children’s Hospital. The three experts would be joined by project consultants from Germany and the U.S.
Dr. Isaac Thompson Amos will lead the Thompson & Grace Group team to sign the MOU. On arrival to Nigeria, the team will be welcomed by the Ambassador Bernhard Schlagheck, Ambassador of Germany in Abuja, Nigeria who will also hold a briefing session on both the project of Thompson & Grace Medical City and the bilateral collaboration. The German Government represented by the Federal Ministry for Economic Development and Collaboration is supporting the project through technical and organisational advice. In Abuja, Uyo and other region of Akwa Ibom, the delegation will visit several hospitals to witness how healthcare is set up and delivered in the country and to understand issues affecting the advancement of Nigerian healthcare. Furthermore, during a one-day workshop, the German experts will discuss their assessment with members of the Nigerian and West-African Healthcare Community, local and multinational corporate representatives, and community leaders. This conference will be held at Le Méridien Ibom Hotel & Golf Resorts, Uyo in Akwa Ibom State. The delegation will round-up its assignments with courtesy calls on the Commissioner for Health, Dr. Dominic Ukpong, and the Governor of Akwa Ibom State, Mr. Udom Gabriel Emmanuel. 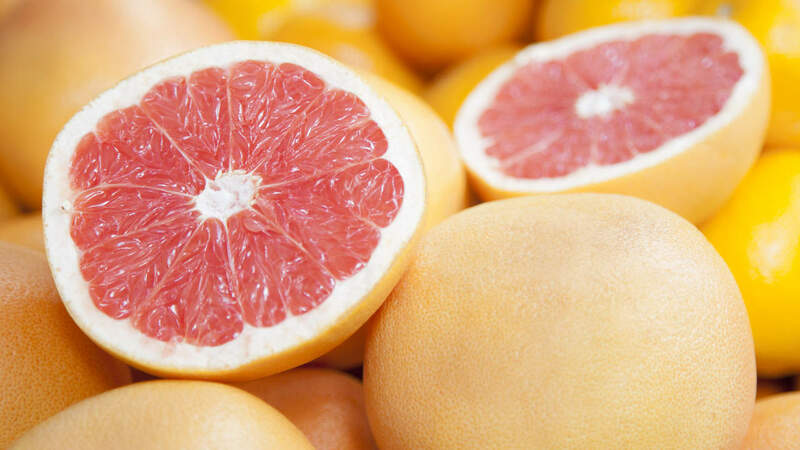 Grapefruit has surprising health benefits. The fruit grows in clusters similar to grapes, hence the name. It was first discovered in South America. It is a natural hybrid between orange and pomelo which accounts for its large size and tangy flavour. For one thing, grapefruit is filled to the brim with vitamin C. Vitamin C significantly boosts the immune system and helps shorten colds. Cut away the skin, but leave the white pulpy rind as this is packed with helpful nutrients. Here are other benefits of grapefruit. Copious amounts of vitamin C helps prevent or fight the common cold. There are some indicators that vitamin C may also protect against cancers of the mouth and stomach. Grapefruit also combat free radicals that can wreak havoc in the body. Cancer, stroke, and heart attack may all relate to unchecked free radicals. Kidney stones are usually a buildup of calcium, once developed these stones must either pass through the urethra or broken up medically. Anyone who has had a kidney stone can relate an extremely painful condition. The fat content in coconut water is extremely low, so generous quantities can be consumed without the fear of immediately packing on the pounds. It also suppresses the appetite and makes you feel full because of its rich nature. For those with acne or other blemishes on the surface of the skin, topical application of coconut water can go a great distance as it has the ability to clear up and subsequently tone the skin. It also moisturizes the skin from within if ingested orally and eliminates large amounts of oil. This explains why products such as facial creams, shampoos, conditioners and lotions that contain traces of coconut extract are more effective. Coconut water to settle will also replace those essential electrolytes that exit the body if you experience bouts of frequent urination and vomiting. If you constantly encounter difficulty during the digestion process, coconut water may provide a source of relief. Because of its high concentration of fiber, it aids in the prevention of indigestion and reduces the occurrence of acid reflux. The ingredients in coconut water are way more effective at hydrating the human body than those of sports and energy drinks. During rigorous exercise or extended periods of physical activity, the human body loses mineral-rich fluids. However, coconut water serves as an excellent replacement medium with 294 mg of potassium and 5 mg of natural sugar per glass, unlike your favorite sports drink that only contains half of the potassium content and five times the amount of processed sugar. In addition, the sodium count is only 25 mg, which is relatively low compared to the 41 and 20 mg found in sports drinks and energy drinks respectively. In many instances, a disproportionate level of electrolytes can result in high blood pressure. Because coconut water contains an adequate supply of each, it can be used as a balancing mechanism. In some instances, it is recommended that coconut water be consumed at the start of each day to foster the balance of these electrolytes. Unlike any other beverage on the market, coconut water contains five essential electrolytes that are present in the human body. These include: calcium, magnesium, phosphorous, potassium and sodium. Because of its unique composition, coconut water can be enjoyed by individuals with varying medical conditions. Since it is isotonic to human plasma, coconut water can be used in extreme emergencies to quickly rehydrate the human body if administered intravenously. 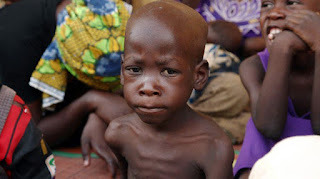 It is not uncommon for the drink to be used in poorer, third-world countries to save human lives. Coconut water can be enjoyed as a stand-alone beverage or combined with another liquid product. There is no hard and fast rule regarding the amount that should be consumed on a daily basis, but experts from the Mayo Clinic strongly suggest that you consider maintaining an active lifestyle if consuming large amounts of coconut water since each eight ounce serving is accompanied by 45 to 60 calories. When searching for the perfect fresh coconut to enjoy, be sure to steer clear of those that have a hard brown shell as this is an indication that it is mature. Instead, look for those that are young and green on the exterior as they usually contain a large supply of the actual coconut water substance. To test it out, simply shake the coconut up and down to gauge how much liquid it contains.